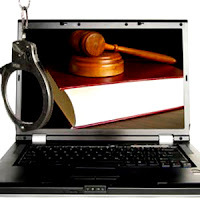 Bangladesh government have approved the new law and order of the Information and Communication Technology (ICT) Act, which have brought some major change on the Bangladesh existing legislation. One of the major change done on the original of 2006 was that, cyber criminals will face jail for minimum 7 years and maximum 14 years. Earlier maximum punishment was for 10 years. Police can arrest the suspect without any warrant, but it mention that suspect have to present before the judge within 24 hours. Maximum fine has also been changed as earlier it was 10 million Bangladeshi Taka, ($128,000 / €96,000). Accoring to the bails are concerned, if the amended version of the ICT Act goes to the force, cyber crimes will not get bail's. On this only a judge will be able to issue or grant bail. From the above change on the legislative, it seems that Bangladesh government is also getting serious and strict about the Cyber Security concerned. Same thing had also been seen form the Indian government too regarding cyber security policy.